The One Technologies is counted amongst the most trusted offshore web and software development company located in Ahmedabad, India. 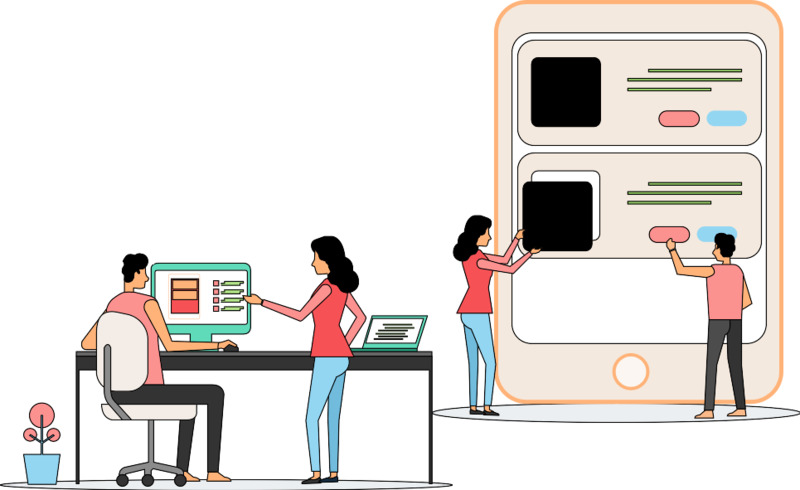 At present, We have ventured in the business of Mobile application development, Website development, Open source customization, Custom software development and Graphics designing. Although we are unbeatable in what we do and what we create, it is important for us to witness a broad and highly satisfied smile on our clients face. Our focus does not only believe in long term relationships, but we also thrive to maintain them proficiently. After all good relations are created after delivering the best possible results by outstanding quality of work and 24X7 support. We offer variety of software and web development services as per the requirement of client. The One Technologies is one of the most trusted offshore Web & Software Development Company. We achieved more than 120% growth in our wallpaper retail business just because you guys put the right elements in place on our website. Thank you very much for your hard work. Excellent professional to work with. Very knowledgeable, can act independently with only minimal guidance, creative, communicates extremely well. Will definitely be working with him again. It was a pleasure doing business with the experts at "The One Technologies". Besides a sound understanding of technology, the team understood the value of commitment and pro-actively sharing their experiences and best practices. Very satisfied with the work done. Everything coming together for the show - really great work you guys have done.